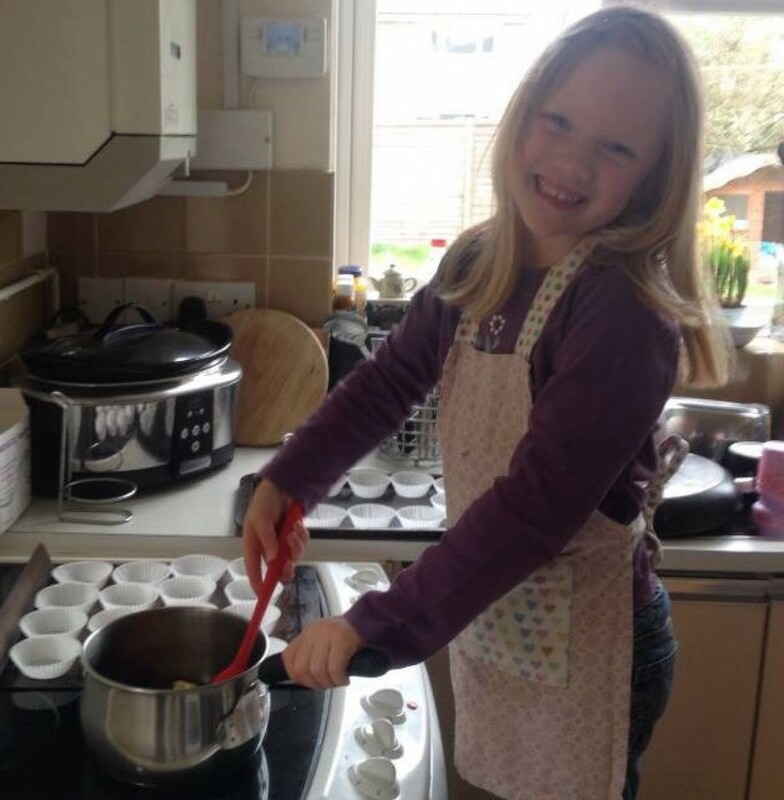 Mia’s School lunches – Our little Coeliac, Mia, is offered a hot school meal everyday. This has been since day one of her starting Walkern Primary School two years ago. Lisa Hayward, our wonderful school cook, uses a menu that has been created especially for Coeliacs and adapts it if Mia doesn’t particularly like a certain option. Lisa works for Hertfordshire Catering Limited , who are able to offer special menus or various dietary requirement (as long as there is supporting medical evidence that it is necessary for the child). However, I quickly realised that Mia was in the minority and extremely fortunate being offered daily hot meals at school, as so many others in her situation are offered merely a baked potato once a week or absolutely nothing! Being really shocked that many children were not being given their daily free school meals, on the basis of their dietary requirements, I contacted Hertfordshire Catering Limited to find out why they decided to offer this to our children and what they have done to make it easier for their school cooks to achieve the adaptations in the meals. Meeting a Nutritionist – I had a meeting with Anka Johnston, Nutritionist for Hertfordshire Catering Limited, who was unaware of how unique their meal planning is. She has made sure that the children’s adapted meals follow the same meals as the other children in school, so they look the same despite having the appropriate nutritional changes. It has not been an easy job, but it was clearly important for Anka and Lisa to be able to offer every child a school meal, despite their special dietary requirement. As a parent, it is so refreshing to hear that a school cook and catering company are striving to do their very best by your child, so there is one less barrier for our children with special dietary requirements to overcome. Mia’s School – Walkern Primary School is a small village school, where you would imagine it may be harder to have a separate area within the kitchen for preparing foods safely to avoid cross contamination issues. However, they have achieved it and been so successful with their catering that Lisa and her team won an award for ‘Primary School Catering Team of the Year 2016’ !!!! How have they achieved this? Each member of the catering team has to attend a 3 week training course, which includes learning about the various menus, adaptations and cross contamination issues (There is also a recognised Coeliac course for cooks that the Coeliac UK suggest). Lisa cooks all meals from scratch and the normal school menu offers a green option (vegetarian) or red (meat option), one of which will be adapted to suit a coeliac menu. For example, on Wednesdays there is always a roast and Mia is allowed everything except yorkshires and stuffing, as even their gravy is gluten free for ease and to avoid any contamination issues. Also for a salad side option, due to the likelihood of contamination as bread is next to the salad bar, Lisa ensures that a little salad is separated for Mia and put to one side and covered over to stop any crumbs getting in. Within Hertfordshire Catering Limited, the school kitchens are provided with a list of ingredients which contain allergens and they follow the menus which have been adapted by the nutritionist, Anka. If they have to make changes to any dishes or ingredients then they have all of the information in which to do so, including having Anka at the end of the phone line for additional support. Lisa also ensures that all children with a special dietary requirement is easily recognisable to staff in the kitchen at lunch times. She has photos of the specific children in the kitchen, labelling the foods that they must avoid. Lisa has also developed a multi-coloured loom band for the children to wear, as an extra reminder to the staff, which is a cool way for the children to subtly show staff that they need an adapted meal. How can you help your little Coeliac with their school lunches? Take the information to your school from Coeliac UK to help them understand what it is and the issues around Coeliac Disease, along with a doctor’s letter/diagnosis letter stating that your child has ‘Coeliac Disease’. Ensure the school cook is aware of training courses available for the kitchen staff to help them learn about Coeliac Disease and cross contamination issues (easily done via Coeliac UK), if they are not already knowledgeable. Help the kitchen staff look at the menus and suggest slight adaptations, which can make a meal gluten free/coeliac friendly (use the menu sample from Mia’s school above). Have regular contact with your school cook to ensure that they understand your child’s needs and likes/dislikes. Remember that children in key stage one (up to the end of year 2) are entitled to free school meals, so your child should not miss out. Children with special dietary requirements are always going to struggle at meal times. When they are at school, they should feel safe and looked after what ever their abilities or limitations. It does take a bit of extra thinking from the school and catering company, but our children should always be included and made to feel accepted especially when eating at school. Many people feel that meal times are important occasions where children interact, learn and socialise with each other and inclusion is essential throughout their formative years. You shouldn’t have to fight for this, but hopefully this may help give a positive nudge in the right direction to any schools/catering companies who are seeming reluctant to help. Some of our recipes have been published by Wayfair! 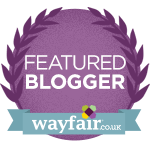 If you are looking for an easy, but eye catching meal this Summer, then have a look at the recipies that Wayfair have published for us. When we got our bundle of wonderful food from Morrisons, Mia immediately asked to bake some cupcakes. We often make lemon ones, but we wanted to add a new twist with our ingredients. The Brazil nuts gave an extra depth to the flavour without being overpowering. They were happily demolished by our hungry brood in seconds! 1. Preheat oven to 180 C.
2. Put approx. 16 paper cake cases in Yorkshire tin. 4. Gradually beat in the eggs, followed by lemon zest and the lemon juice. 5. Fold in the flour, xanthum gum, baking powder and ground Brazil nuts. 6. Spoon the mixture into the cases, using roughly a dessert spoonful per case. 7. Bake for 15mins (until golden brown). 8. Cool for 10 minutes. We love butternut squash in our house, but it can get a bit boring. When Morrisons sent us a selection of foods to try, I decided it was time to spice up our squash! It’s a great accompaniment to so many main dishes. Our current favourite is with Lemon Chicken. Place butternut squash cubes, onions, rosemary and a generous amount of salt ad pepper into a big bowl. Cover in a splash of olive oil and mix, so each piece is slightly coated. Place the mixture in a roasting tray and put in the oven for 30-40mins, until the butternut squash begins to turn golden brown and the veg is soft enough for a knife can easily go through. Remove from oven and sprinkle the feta on top. Serve immediately. I had never made fresh pesto before, but when Morrison’s kindly sent us some fresh basil, pine nuts and olive oil, I just had to try it out! It really works too and was so easy and tasty. Mia’s brother, Dominic, doesn’t like the pesto from a jar, but he tucked straight into this! Put pasta into a pan of boiling water with a splash of olive oil, cook as per the instructions on the packet. Meanwhile, put the basil, pine nuts, garlic, lemon juice and half the parmesan into a blender and whizz until it forms a paste. Then add a splash of olive oil and a bit more parmesan. Whizz again and taste. Continue to add small amounts of olive oil and parmesan until you achieve your desired consistency and taste. When pasta has cooked and been drained, put the pesto into the pan with the pasta and heat gently for 2 minutes. Serve with a sprinkling of parmesan and a rocket salad. Yum! Enjoy! During Coeliac awareness week, last week, Mia was kindly invited to a tea party at Morrisons. It was an amazing opportunity for My Little Coeliac to hear about Morrisons‘ Free From journey and their future plans….as well as eat our body weight in delicious gluten free goodies! Morrisons now have more Free From products than ever before. They have gone from having only 2 shelving compartments within their largest shops, to now having a whopping 9. This is because their range of Free From products now exceeds 260! Not only that, but they are aiming to have a specific Free From fridge and freezer section across many of their stores, to be located next to the Free From aisle. We visited their newest store in Colindale, London. The Free From section was so clearly advertised and easy to find from the entrance, which is what they are aiming to achieve across their stores. It was so stress free and easy to shop there, I really wish all supermarkets would follow Morrisons‘ lead. The other refreshing find was that their Free From buyer, Stef Downey, was actually there in person, chatting to us and asking for our opinions on products. Her passion for finding the best products for her customers was clearly of huge importance for her and Morrisons. Amazingly, My Little Coeliac was able to have a voice! Within Morrisons, there are lots of easy ready-meals available now aimed at our little coeliacs, a vast range of cereals, treat items and many more. However, My Little Coeliac have asked if we could see more party snack/lunch box ideas on their shelves in future, as this is our most challenging food issue. Stef had already told us that there are areas that they are continuing to improve on and extending the Free From range to suit children is already on her list, which is wonderful news. Watch this space as My Little Coeliac have been asked to be involved again with Morrisons in the future….exciting times!! Morrisons also sent My Little Coeliac a huge selection of goodies, in order for us to create some yummy meals, which we will uploading onto the blog soon. I was so pleasantly surprised by the prices of their market place fruit and veg, as well as their own brand of Free From treats. It is most definitely our main supermarket of choice now. My Little Coeliac have given Morrisons a huge thumbs up for making life easier when it comes to catering for our little coeliacs safely. Their prices are so good and the range of food is like no other supermarket. Morrisons, we thank you so very much. Easter is upon us! It has come around very quickly in our house and we have been somewhat unprepared, but we managed to make some advice treats that gave us a giggle. My children really enjoy themed food, so we looked in the cupboards and found a pizza mix. We decided that we should shape our pizza into an Easter bunny shape! It was so simple and we used a pizza base mix, which took just a few minutes. We added mozzarella, olives and veg for the face. Once cooked, it was demolished in seconds! Their cakes later in the day obviously also had to follow the Easter theme, so we made our usual cupcakes and they decorated them with butter icing, marshmallows, raisins and inedible wooden sticks to add effect for whiskers! They had great fun making them and of course eating them too. Easter should be fun and there is no reason why our little Coeliacs should miss out on the yummy things.